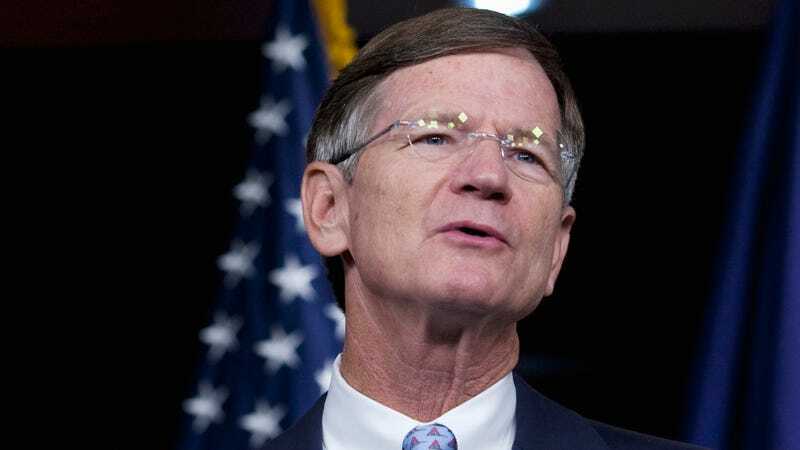 Texas Rep. Lamar Smith, the Republican chair of the House Science Committee who also happens to believe global warming might actually be a really good thing, flew off the hook this week. The cause? The New York Times publicized a draft version of a federal scientific report which climate scientists worry Donald Trump’s administration is preparing to suppress or doctor. In a statement, Smith argued the “alarmist media is at it again” and tried to one-up the thousands of studies referred to in the report, suggesting he knows better than the tens of thousands of scientists who wrote them. Seriously, Smith is done with the whole Republican “I’m not a scientist” line. In his telling, Smith has practically done the research himself, with his mighty brain striking like thunder at dubious scientific methodology. Several real climate scientists contacted by Gizmodo felt Smith was not as up to snuff on his research as he claimed to be, however. “These comments reflect the utterances of someone who either doesn’t have the faintest understanding of the science, or has total contempt for scientific truth,” Michael Mann, climatologist, geophysicist and director of Penn State’s Earth System Science Center, told Gizmodo. “This does not say that every extreme can or should be blamed on climate change, but some events are linked, with high confidence,” Alley added. He added there is “abundant evidence” the recent increase in extreme weather, like Hurricane Sandy and widespread flooding in the southern US, was the result of human-inducted climate change. “The scientific evidence is overwhelming, and scientific integrity has everything to do with scientists crying out a warning,” Trenberth concluded. The four scientists who spoke with Gizmodo are just a tiny fragment of the greater climate science community, which nearly universally agrees humans are responsible for climate change, which virtually all of them also agree could have disastrous impacts on the human species. Smith is just one dude who won a few elections in Texas and has no formal scientific qualifications whatsoever, but who does take an awful lot of money from the oil and gas industry. It doesn’t really take a scientist to figure this one out, but you should probably listen to what they have to say anyway.